At Make Yourself at Home, we offer furnished and unfurnished apartment rentals and vacation homes that are perfect for people relocating to Vancouver and Victoria, B.C. or visiting for an extended stay. 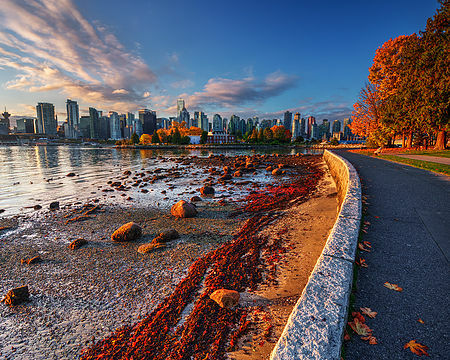 We have a selection of accommodations in convenient Victoria and Vancouver locations such as Downtown Vancouver, Yaletown, Kitsilano, Granville, False Creek, Point Grey, North Vancouver, West Vancouver, Dunbar and Douglas Park. 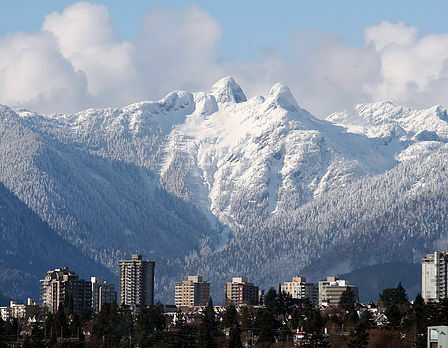 Vancouver is a beautiful city, with both the ocean and mountains close by. Because of it’s mild climate, the city is lush and green and offers a pleasant stay year round. The city is a popular vacation spot for tourism, families and groups of all ages, as well as a pleasant setting for corporate business trips. Vancouver is a culturally diverse city, and the accommodations it offers are equally as diverse. This page will give you some brief information on both Victoria and Vancouver neighborhoods where you’ll find the best rental properties. In contrast to a regular hotel, staying in furnished rentals, in the neighborhood of your choice, offers you the chance to fully explore and feel at home in Vancouver or Victoria. Main Street is an eclective mix of young designer boutiques, funky cafes, and excellent ethnic restaurants. The streetscape includes modern and heritage architecture. Main Street is the destination for antique hunters with at least a dozen shops between 24th and 28th Avenues. The area around Broadway and Main has become known as south Main or "SoMa." Several established Vancouver restaurants have recently moved here. There is easy access to Queen Elizabeth Park with its amazing gardens and views and the Hillcrest Community Centre with its aquatic centre that includes an Olympic-size pool, a skating rink, and a public library. Also known as “The Drive”, this is one of Vancouver’s most lively and culturally diverse areas. Located on the East side of Vancouver, Commercial Drive is home to a large Italian population, as well as many other groups. Like Kitsilano, there are still many heritage homes near Commercial. The benefits of properties in this area are that you are close to a vast array of restaurants and venues for live music, as well as funky and unique shops, consignment stores, independent record stores and anything else out of the ordinary. Downtown Vancouver offers a more metropolitan experience, offering primarily apartments and condos and access to Robson Street shopping and Vancouver’s business centre. For this reason, this area may be more suited to the corporate business traveller, or the “urban nomad”. 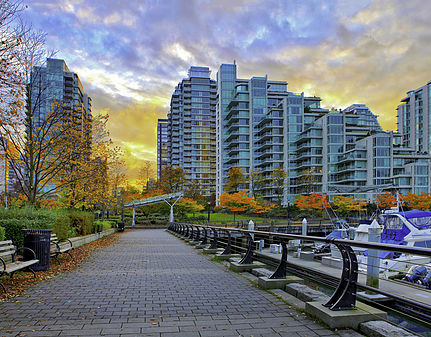 Areas within downtown include the West End, Robson Street, Yaletown and Coal Harbour. 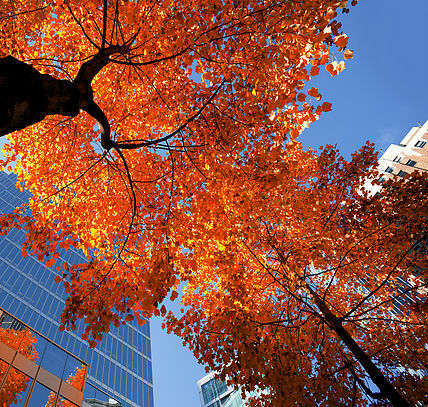 Located in downtown Vancouver, the West End is another picturesque area to stay in. 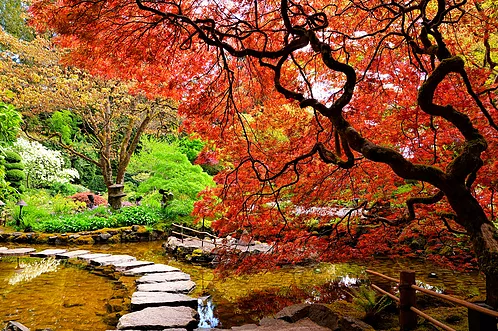 It borders English Bay and is close to the Stanley Park sea wall, which is one of Vancouver’s most scenic walks. The West End is a diverse area as well, but with more upscale apartments and condos with views of the water and breathtaking sunsets. The main shopping streets in the West End include Denman–with a variety of ethnic restaurants and gift shops–and Davie Street–home to Vancouver’s gay population. This area of downtown is very chic and trendy, with designer clothing stores, jazz bars, hip restaurants and clubs. The shopping area is quite small and is quiet during the day, but becomes a hot night spot in the evening. Most of Vancouver’s new condo development seems to be in this area, so most of the accommodations you’ll find here are newer, and quite luxurious. You’ll also have nice south-facing views of False Creek and access to Granville Island and Kits Point via the new sea wall or the water taxis that cross frequently. Crosstown is the new SoHo of Vancouver. Rich, vibrant and inviting. Nestled in the urban centre, adjacent to the international village, CrossRoads is surrounded by parks, sports, eclectic cultural venues, public transportation and nightlife, Crosstown is the new place to be. This is the central hub to walk to the Vancouver sights of Gastown, Yaletown, Chinatown, Science World, Sun Yet Sen Classical Chinese Garden, theatres, areas, movies and restaurants. Kitsilano, also known as "Kits," is located on the west side of Vancouver and borders the ocean, offering a spectacular view of the mountains and English Bay. This area has a fun and free-spirited atmosphere and is home to a large population of younger couples, new families, and students. The properties in this area include apartments with great views of Kits Beach and the ocean. 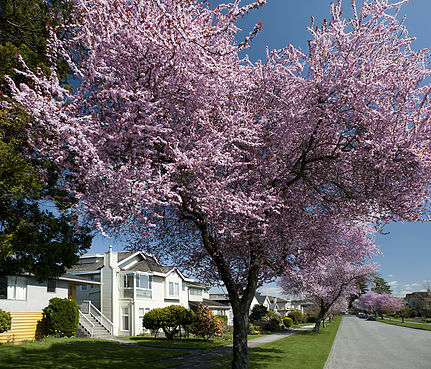 As well, Kits is known for it's fantastic heritage homes with quaint gardens and shaded tree lined streets. Fourth Avenue, the main shopping street, also is a hot night spot with great restaurants, and fun bars with a local feel. Granville Island is located underneath the Granville Bridge just north of 4th Avenue. The Island, which is really a reclaimed area of mudflats, features a pleasing mix of niche businesses, bookshops, bakeries, restaurants, and galleries. Check out the large Public Market, which sells excellent farm produce, cut flowers, plants, jewelry, and crafts. Granville Island is probably the best place to look for a special made-in-BC souvenir. For an extra treat, take the water taxi from behind the Public Market over to the West End. This area includes both Douglas Park and City Hall. Situated directly South of VGH, Douglas park is a quiet residential neighborhood, filled with character and heritage homes on tree-lined streets. It's a very popular area for young families, and is centered around the 13 acre park that features a community centre and playground. It also offers easy access to BC Children's and Women's Hospital. The City Hall area is set on a hill that overlooks downtown Vancouver, and is located directly east of VGH, close to Cambie Street and its many new shops and restaurants. City Hall area is an eclectic mix of rambling older heritage homes, newer apartment buildings and pockets of local markets. Both Douglas Park and City Hall offer easy access to public transportation due to the new Canada Line Train. With a multitude of amenities, arts and entertainment, shopping, dining, and public open spaces, residents currently enjoy a unique lifestyle that balances a rich community history with cultural diversity and natural beauty. It is the place to stay to discover Vancouver from a whole different perspective. Staying mountainside you are minutes away from some of Vancouver’s premier attractions. Outdoor adventures abound with world-class mountain biking trails, rainforest hiking trails and more. West Vancouver and Vancouver are distinct municipalities separated by a few hundred metres of sea, but connected by the Lions Gate Bridge. West Vancouver is just minutes away from Vancouver and it’s easy to get here. It’s also right next to Grouse Mountain and the Capilano Suspension Bridge, so it’s simple to add on a visit to the area. 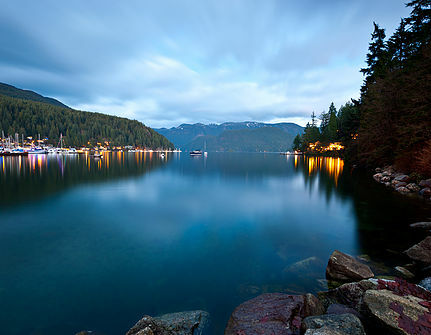 West Vancouver’s Horseshoe Bay is where you catch BC Ferries to Vancouver Island and the Sunshine Coast. Also, you can’t get to Whistler without passing through here, it’s a convenient stop-off on your way to Whistler or on your way back. Located immediately to the east of Vancouver, Burnaby is a great place to live, learn, work and play. 25% of land designated as parks and open space; with major commercial town centre development and major post secondary institutions. The SkyTrain rapid transit system crosses the city from east to west. Heritage neighborhoods and local businesses, museums and live performances at theaters and festivals. An extensive network of green ways, bicycle paths, and walking trails. Parks, thriving arts community and vibrant commercial districts combined, make New Westminster a great place to live, work and play. Established in 1843, the capital city of British Columbia is located on the southern tip of the Vancouver Island, off Canada's Pacific coast. The city boasts many historic buildings and some of the best museums in Western Canada. The city is now a cosmopolitan centre with a lively entertainment scene and a wonderful array of attractions. There's an ocean or mountain (or both!) vista around every corner, and the city's flower gardens are famous the world over. Victoria was voted one of the Top 10 cities in North America.